Linda Elaine Hood, 79 was born March 3, 1939 in Salt Lake City, Utah to Byron & Erma Smethurst. She has 2 sisters and 2 Brothers Afton, Joe, Connie, and Lamar. She met Neil Hood from Casper in 1961 and they married in 1962 (56 years) together they had 3 children, Keith, Lorrie & Rebecca. 10 Grandchildren & 8 Great Grandchildren. Elaine will be remembered as being a wonderful mother and homemaker. 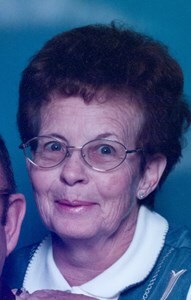 She enjoyed bowling, camping and traveling with her husband and family. Elaine treasured her time spent with Coco Bear, her pet Pomeranian. She will be greatly missed by her family and friends. She was preceded in death by her Mom & Dad, Granddaughter, Ashley & Grandson, Matthew. She is survived by her husband Neil, Son, Keith (Dawn) Hood, Daughter Lorrie Hood, Daughter Becky (Mike) Hall, 8 grandchildren & 8 Great-Grandchildren and all of her siblings as well as numerous nieces, nephews and other relatives. A Visitation will be held 4:00 PM until 7:00 PM, Friday, November 2, 2018 at Newcomer Casper Chapel. A Funeral Service will be held 2:00 PM, Saturday, November 3, 2018 at the funeral home with Interment to follow at Wyoming Memorial Gardens. In lieu of flowers the family suggest that donations be made to the Seton House, 919 N. Durbin Street, Casper, Wyoming, 82601 or the Casper Humane Society in Elaine's name. To share your memories of Elaine or leave a special condolence message for her family, please click the Share Memories button above. Add your memories to the guest book of Linda Hood. I am so sorry for your loss of Elaine. I only found out today about her passing. I remember the surprise birthday party you guys and Aaron planned for me. I was very surprised and I had such a wonderful time. Then I have very fond memories of going gambling with her and Connie. So much fun and they came home every time with money, I didn't. She was an amazing woman and I was very proud to have her for a sister-in-law for a short time. Just got back to work today and read this. I am so sorry for your loss. My heart aches for you and your family. My sincerest condolences.